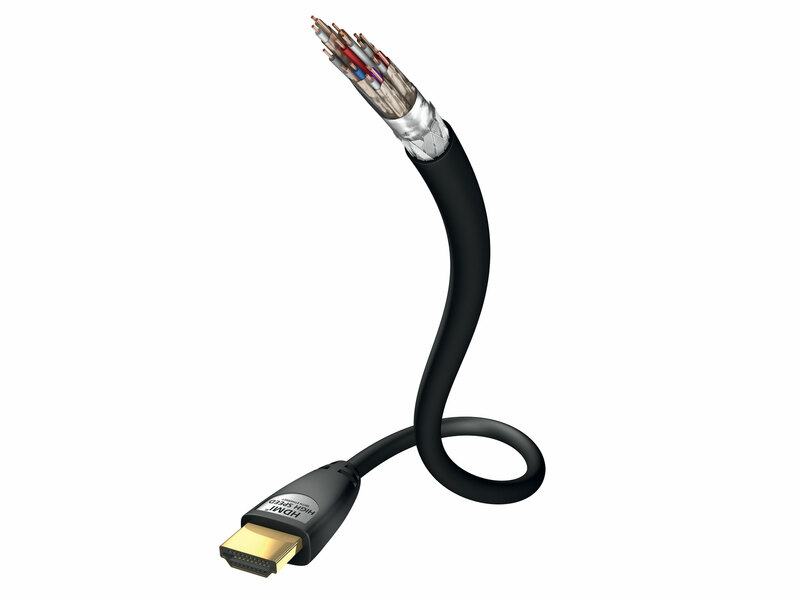 The High Speed HDMI cable with Ethernet (from 5,0m length Standard HDMI cable with Ethernet) from the in-akustik Star-series supports all HD audioformats and a resolution of up to 2160p 4k (from 5,0m 1080p Full-HD). 24c gold-plated plugs for optimum contact. It is suitable for connecting digital AV components, such as DVD, Blu-ray players or game consoles with a plasma, LCD, LED-TV or projector. The HDMI Forum, to which 88 companies from the multimedia branch belong, released the new HDMI 2.0 specification on 4 September 2013. The most important new feature of HDMI 2.0 is the much higher data rate of up to 18 gigabytes per second it makes possible, with this being necessary for the latest 4K content with double the refresh rate. 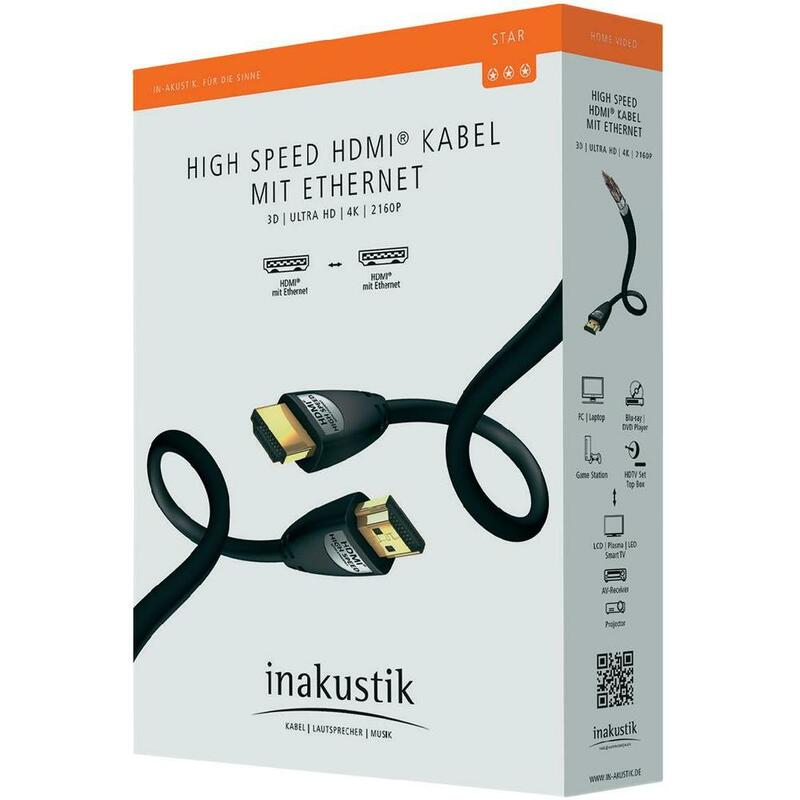 The High Speed HDMI cables with Ethernet made by in-akustik are HDMI 2.0B-compatible and therefore optimally suited to future requirements. This applies for lengths of up to, and including 3.0 m for HDMI cables in the “Star” category, and up to, and including 5.0 m for the “Premium” HDMI cables, with a length of 15 m possible for the “Exzellenz” cables due to an intelligent chip in the connector.